← Walking off Thanksgiving Dinner! Last Saturday, Uncle Jerry went to the last Wyoming football game of the season. I, Aunt Geri, couldn’t go because I had my first weaving class. Since it was at my house and I’m the student as well as the instructor, missing it would have been double trouble! 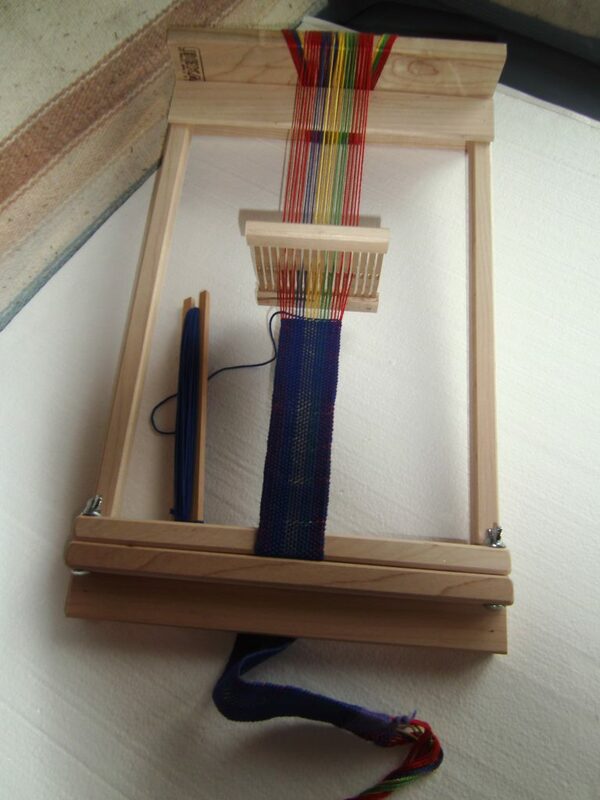 This is my little Beka rigid heddle lap loom. The instructor knows I’m a “kin-esthetic” (hands on) learner, so she wasted no time in making my first assignment – a belt. 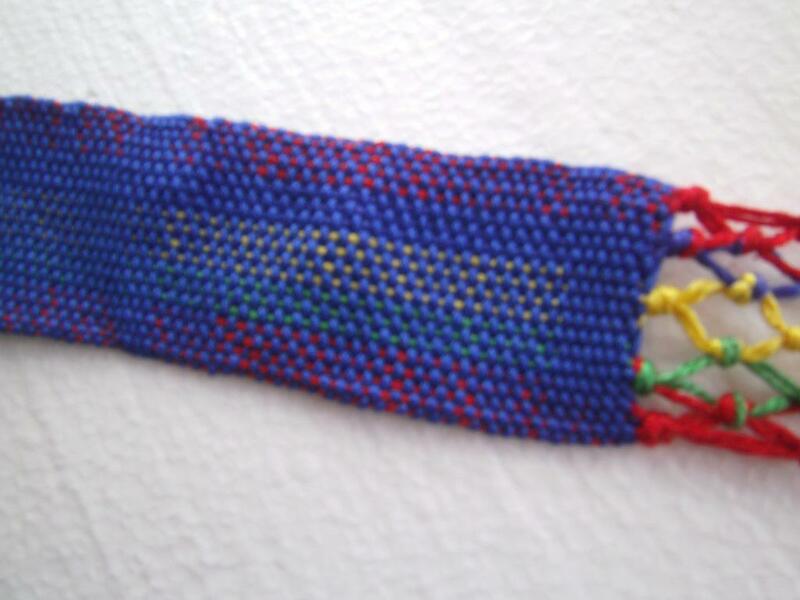 We used cotton yarn for learning and went with all the primary colors plus green for the warp (vertical) strings. This teaches how the weft yarn (horizontal threads) blends into the warp to create secondary and tertiary colors. Once you get into a “rhythm” you can almost weave in a continuous motion. Being fairly ambidextrous, I moved right along, which is a good thing since I must say my instructor is a little short on patience! The belt will be a Christmas gift for a friend who is a waitress at the local cafe. Now I have “warped” the loom to start my next project using a yarn that was hand-spun by Kirstin. 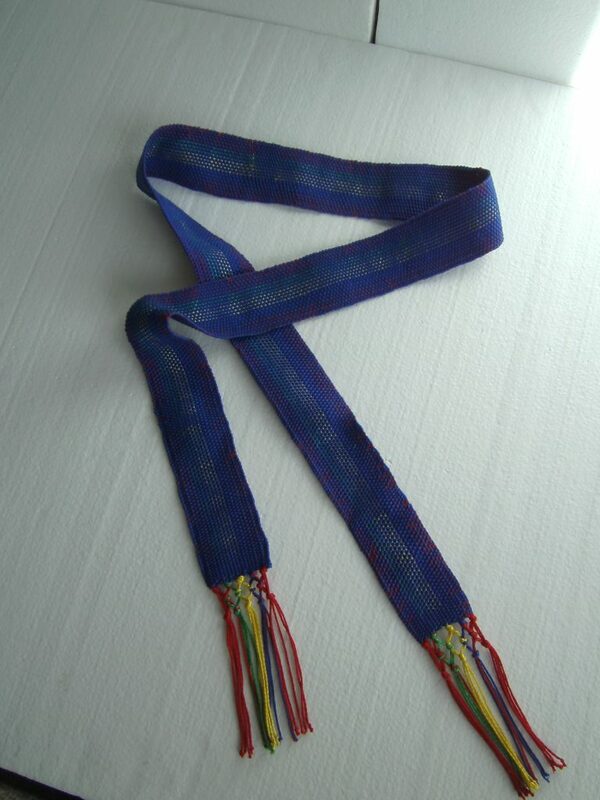 This entry was posted in Fashion, how-tos and tagged Heddle, loom, weaving, Wyoming, yarn. Bookmark the permalink. Beautiful Aunt Geri! And you add yet another skill to your already impressive repertoire. Thanks – since we are spinners we already have a lot of the basics going for us!